Red Star Wealth Management provide personal financial planning for local clients across the Fylde coast and throughout the UK. Based in Blackpool, Red Star Wealth are truly proud of their Lancashire roots. Established in 2011, its offices are located close to Blackpool Squires Gate Airport. We offer convenient parking right outside plus private meeting rooms – and great coffee and biscuits! To complement wealth management and general financial advice, Red Star Wealth also provides independent advice on tax, mortgages and pensions. 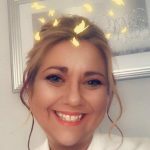 Managing Director Kristen Durose grew up in Blackpool and has an excellent understanding of the individual financial planning needs of local residents and businesses. When not helping clients with their financial advice requirements, Kristen supports a number of local charities, such as the Blackpool Carers Centre who provide support for carers of all ages. Kristen is also Governor of Montgomery High School which caters for almost 1,500 pupils in north Blackpool. Kristen was recently nominated as Financial Advisor of the Year in the Lancashire Women in Business Awards. Plus, Red Star Wealth has been nominated in the Business of the Year category. As the term suggests, personal financial planning involves creating a plan that is fully tailored to an individual’s needs – rather than simply offering a range of financial products. We can only achieve that by investing quality time with existing and new clients and getting to understand their current situation and what they aspire to. Only when we have a full understanding of where you are and where you want to get to can we start to provide financial advice that is appropriate for your needs. Red Star Wealth explain everything to you in a clear, transparent manner and that’s why we live each day by our motto “Honest, Open, Reliable”. If you’d like a no-obligation initial consultation about any of your personal financial planning needs, we’d be delighted to help. Just drop us a line or call us on 01253 486346 and we’ll put the kettle on!